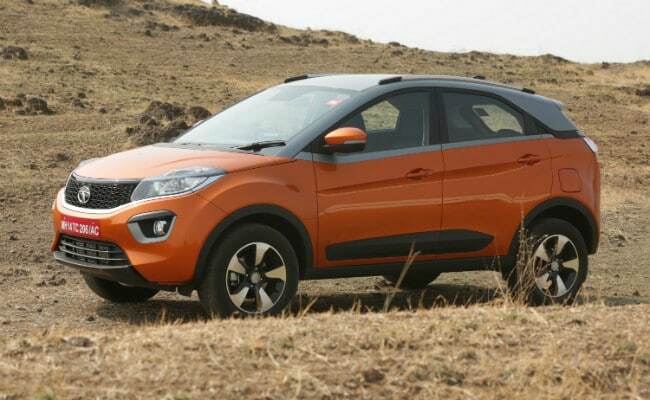 The Tata cars recorded a growth of 18 per cent at 11,516 units driven by continuous strong demand for Tiago and Tigor, while the UVs continued to record an exceptional performance of 463 per cent growth at 5,973 units, due to the strong demand for the Nexon and Hexa. Tata Motors registered a strong growth of 58 per cent in May 2018. It sold 54,295 units as against 34,461 units last year and the company is continuing its strong sales performance in the Commercial and Passenger Vehicles Businesses in the domestic market. The cumulative sales for the domestic market (April-May 2018) was at 107,806 units compared to 63,305 units over last year, a growth of 70 per cent. With retails slowing down, Tata Motors said that May 2018 was a challenging month but Tata Motors' Passenger Vehicles domestic sales registered an impressive performance with 17,489 units, a growth of 61 per cent, compared to 10,855 units in May 2017. The Tata cars recorded a growth of 18 per cent at 11,516 units driven by continuous strong demand for Tiago and Tigor, while the UVs continued to record an exceptional performance of 463 per cent growth at 5,973 units, due to the strong demand for the Nexon and Hexa. The recently launched Nexon AMT has received an overwhelming response and is witnessing good traction in the market. Domestic sales of Tata Motors' Commercial Vehicles in May 2018 stood at 36,806 units, an increase of 56 per cent compared to 23,606 units in May 2017. Post the Supreme Court ruling on BSIII to BSIV transition, sales were affected in Q1 last year as there was a huge pre-buy and also a limited supply of BSIV vehicles. The growth in May 2018 was on the back of various macro-economic factors like investment in improved industrial activities, infrastructure development and robust demand in the private consumption-led sectors.